Click below to check more than a dozen images from the 2009 fire truck parade through the center of the borough starring new and old engines from throughout the region. The images are housed on the Bulletin’s Facebook page. 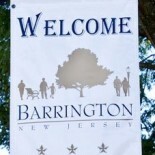 This entry was posted on April 1, 2012 by Barrington Bulletin in Photos and tagged fire, fire engines, fire trucks, holidays, parade, photos.